Last week we worked with the customary measurement system. Students have been making conversions and comparing measurements in the system. 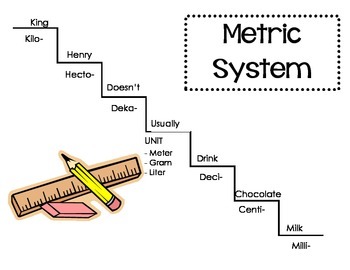 This week we will be continuing the unit with the addition of the metric system. They should be studying the measurements and conversions as we continue to add information to the journals. There is a lot of memorization which goes with this unit. Please encourage them to study the conversion rates at home to help them be prepared for class. There will be a metric system conversion and comparison quiz on Thursday, February 14. We will review and have a test after we return from the Winter Break. Our standard this week asks students to use digital and print resources to locate information quickly. We will do a couple for webquests to practice finding information on the internet. We will also be using print resources that are not reference materials and books to locate information. This will include practice with things like menus, sales flyers, and advertisements. We are working on Wordly Wise Unit 13 this week. The test will be on Thursday, February 14. 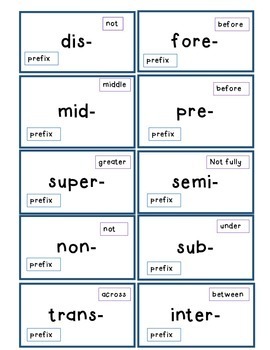 This week we will be working with the Greek and Latin prefixes and suffixes in class. 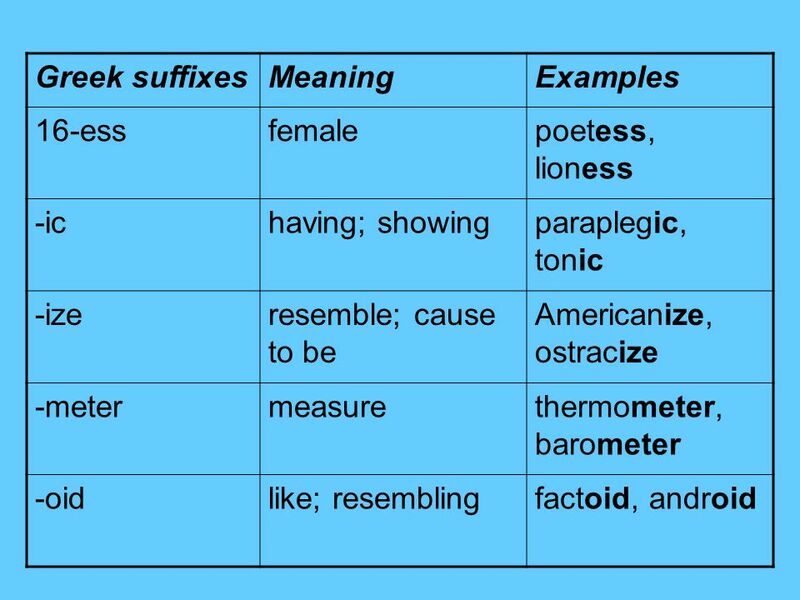 The idea is that knowledge of the Greek and Latin vocabulary will help students with vocabulary and comprehension as they are reading. An example of these can be seen below.